Sorry to begin this with a shameless brag, but I’m a great flyer. I’m polite to the flight attendants, respectful of overhead bin space, drink just enough to make me sleepy, and never recline my seat. 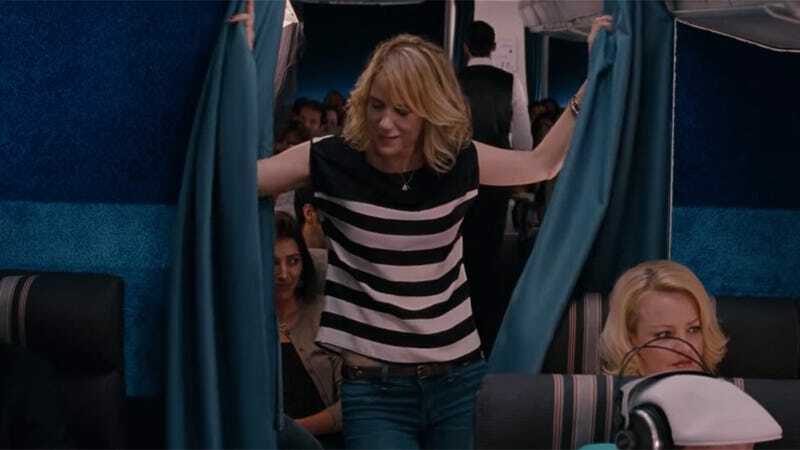 But even though I’d like to think all airline staffers would gladly give me an five-star rating (if they were allowed to do such a thing), none have ever congratulated me on the plane’s PA system. Why not? What have I done wrong? The answer, according to sportswriter Jimmy Durkin, is that I haven’t flown on a plane filled with people who love to drink. During a recent Southwest Airlines flight from Oakland, CA, to Kansas City, MO, the passengers were congratulated by their captain for sucking down every drop of alcohol the plane had to offer. Durkin called it a “Raiders flight,” but not because it was filled with Oakland Raiders players. These were just fans dressed “Raiders paraphernalia.” They weren’t even “particularly rowdy,” just thirsty as hell. Being a sports fan doesn’t sound so bad. Maybe I should consider it.